Our Upfront Price right up front. We publish our Upfront price every day on every vehicle whether you’re on the lot or on the internet. Some brands restrict dealers with a Minimum Advertised Price; they won’t allow dealers to display new car pricing under a certain amount unless you’ve developed a relationship. In our dealerships, operating under these restrictions, we’ve developed ‘Sign In For Pricing’ which, after an email exchange, allows the shopper to see our Upfront price on all these vehicles. It’s a similar approach some online retailers use where a customer has to ‘add to cart’ to see the price. By eliminating the hassle of negotiating, we think it makes it easier for the customer to concentrate on finding the right vehicle. Walser automotive pioneered negotiation free one price selling in 2001. We believe that customers want great, upfront pricing without the hassle and haggle of the negotiations typically found in car dealerships. Every vehicle is clearly marked with our pre-discounted Walser Upfront Price. There are no hidden costs and no negotiations. Walk right in and get our Upfront price. You’ll get one at Walser. Well, at least for your next vehicle. Savvy used car shoppers will at some point want to see an independent vehicle history report. While there are several on the market, CARFAX has become the go-to. Carfax charges consumers $39.95 per report and while some dealers might provide a summary of the Carfax, Walser provides the complete report on every vehicle in stock for free. If you find a vehicle you might be interested in, click on ‘Show Me the Carfax’ and you’ll see the entire report. ***Return a vehicle within 3 days or 300 miles or exchange a pre-owned Walser vehicle for a different Walser new or used vehicle during your first 30 days of ownership and get 100% of your Walser Best Price back towards the next vehicle (excluding tax difference, accessories, license and documentation fees). Vehicle must be in the same physical and mechanical condition as it was during original delivery. A mileage limitation of 1,500 miles applies to exchange and 300 miles for returns. Customer is allowed to return or exchange one vehicle per year. If customer exchanges their pre-owned vehicle for a new vehicle, that exchange is only eligible on the new vehicle’s brand sold by the original selling dealership. If customer exchanges their pre-owned vehicle for another pre-owned vehicle, that exchange also must be facilitated at the original selling dealership. If the vehicle is financed, customer must qualify for financing on the new vehicle. 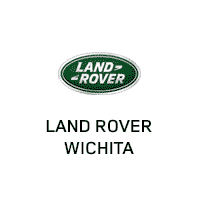 In-stock vehicles only excludes sports cars and specialty vehicles.